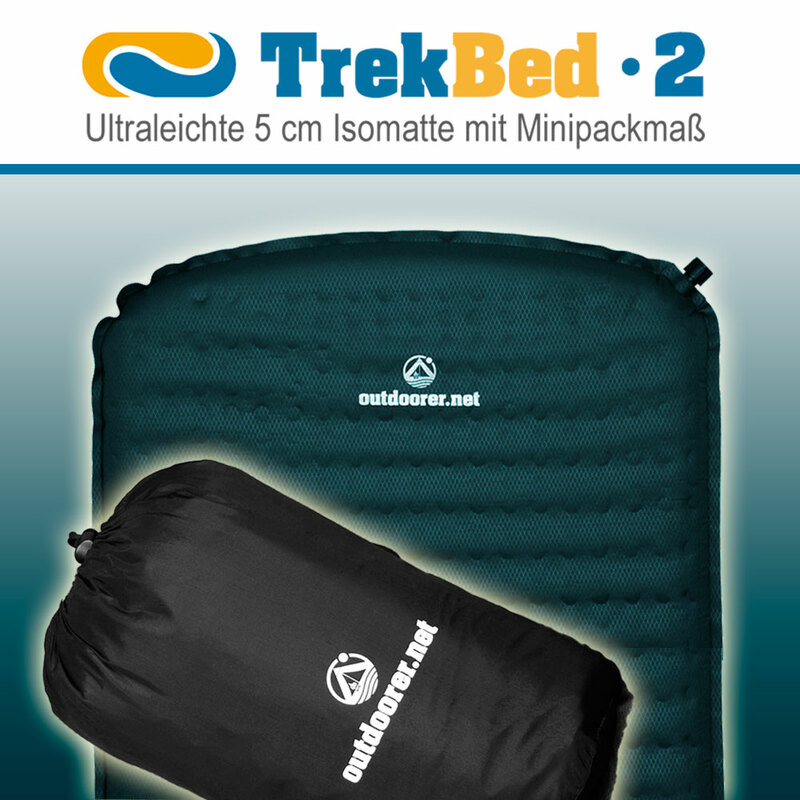 The ultralight self-inflating mattress known as the Trek Bed 2 aims, as the name suggests, fully to satisfy the needs of trekking enthusiasts and backpackers who do not want to carry a single gram more than they have to but still want to sleep comfortably. Weighing in at only 799 grams, the Trek Bed 2 is extremely light. The small pack size helps make it possible for the self-inflating mattress to be attached to the outside of the backpack. Despite its low weight, the Trek Bed 2 is 5 cm thick when it is inflated and allows for the best possible sleeping comfort when travelling and camping. The upper is made of 75D Polyester with diamond embossing, which feels very pleasant and is made by an Eco Tex 100 certified fabric manufacturer so you can sleep soundly. The underside is slip resistant. The Trek Bed’s rounded corners means that it can be used alongside other self-inflating sleeping pads, without its valve being damaged by being squashed. 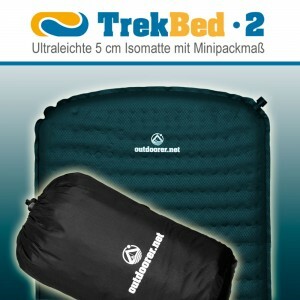 To protect you perfectly from the cold ground while you are on your tour, the Trek Bed 2 is a true 4-season sleeping pad. It is designed for temperatures down to -11 degrees. It’s very easy to use! Roll it out, open our patented special valve with a pull and twist motion, close it after about 15 minutes and enjoy the feeling of being in bed on the road. By punching the foam you can quickly roll it up and pack it again for the next leg the next day. Where to buy the Trek Bed 2? You can buy the Trek Bed 2 in our Amazon shop.